shirley - behind the lens: POTD - Just Say ARRGGH! Normally, I try to post a SOOC shot on Saturdays, but with it being Halloween, I found it hard not to "play" with today's fun shots. Shooting at dusk also posed some challenges, with the dark costumes and setting sun. Adjustments were inevitable. I applied a texture and Gradient layer. I love the layers, the texture of this picture. This is great! He looks like is somehow transported himself through time and appeared like that on the sidewalk. =D At least, I like to think that!! lol! Great picture! 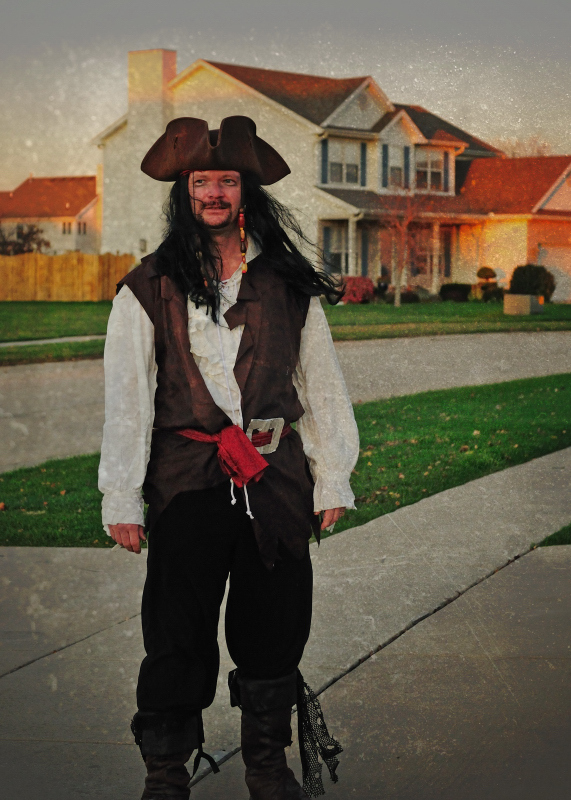 wow -- it really looks like pirates invaded the suburbs! great processing.